To put it simply, your product has to go from point A to point B. And the less it is handled, the higher its quality will be. These two sentences sum up Houdijk’s philosophy. It is with this philosophy in mind that we develop feeding systems. We strive not for complexity, but to make systems that simply do the job: that is, feed your product efficiently and effectively to the next link in your operational process. Houdijk is already well known for its equipment, handling systems, operating software and components. But there is another equally important dimension to our company: what makes Houdijk so unique is the expertise that we have built up over the years. 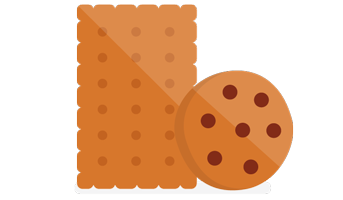 Without it we simply could not develop our unique systems for the diverse range applications to be found at biscuit manufacturers around the world. With Houdijk as your partner, you can be sure that even the most complex process will lead to streamlined production. Every type of expertise on the feeding of a diverse range biscuit products can be found at Houdijk. Put your biscuits in the hands of the people who love them most: the specialists at Houdijk.